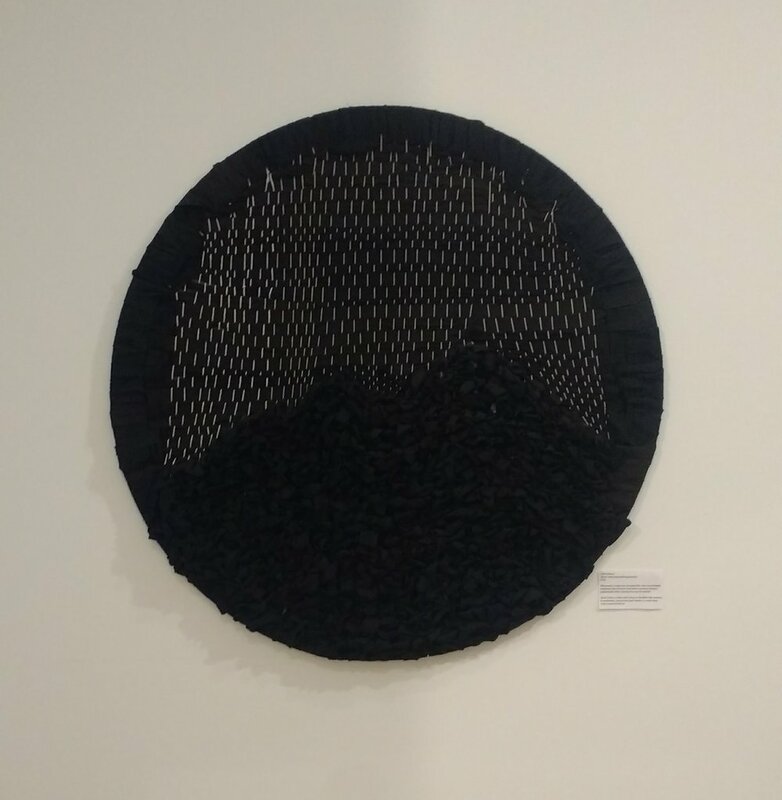 in 4 out 8. textile art woven with recycled fabrics on black frame with apron rods. also true. gradient black to white strata. from the four questions. guru. large circle weaving in natural muslin. woman why are you crying? or, jesus was feminist AF. 60% effaced. black circle weaving with white warp. let them be wrong about you. recycled fabrics in shades of white on a black frame. watching my thoughts. recycled fabric warp with thin wandering weft.